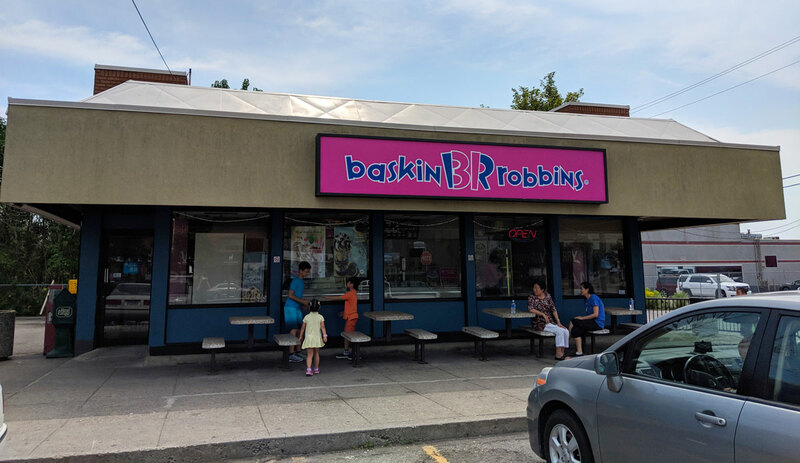 This probably won’t come as much of a surprise: it turns out that the ice cream at Baskin Robbins isn’t very good. I haven’t been there in several years, but I remember it being decent enough. Either I’ve become pickier in the meantime, or it’s become worse. Probably a bit of both. 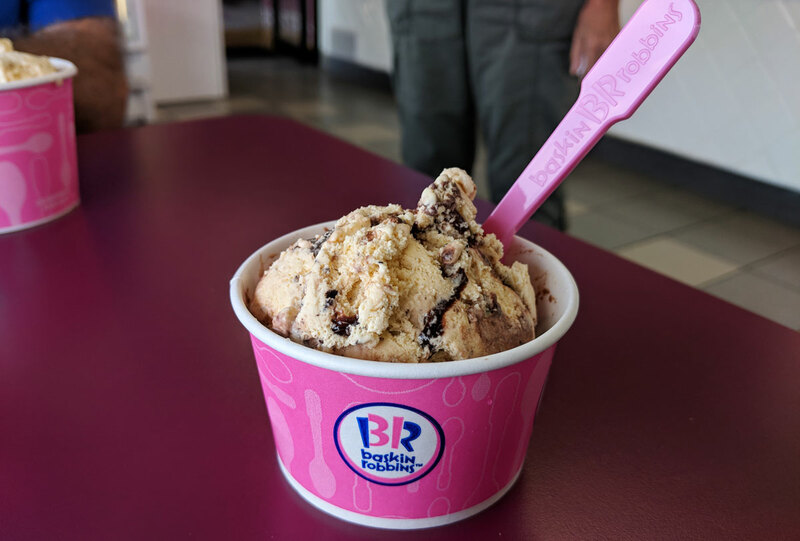 The quality of the ice cream itself was pretty bad; it was slightly better than really bottom-of-the-barrel stuff like Chapman’s, but that’s really not saying much. The texture was thin and unsatisfying. The flavour was even worse. I’ve eaten a lot of cake in my lifetime, and none of it even remotely tasted like the ice cream here. I’m normally fine with artificial, cake-flavoured junk food, but this stuff was just vile. I’m having a hard time even figuring out how to describe the flavour — it was acrid and unpleasant and weird. The cookie chunks were good, at least — they were Oreo pieces, so no surprise there. But the “chocolate cake batter flavored ribbon” basically just tasted like a sweeter, less chocolatey version of Nesquik chocoalte syrup. It wasn’t offensive like the ice cream, but it wasn’t particularly good, either.